The Jewish New Year, Rosh Hashanah, is more than just a marker of the cycle of years and the passage of time. This annual “birthday” of the creation of the world is also an annual day of reckoning.1 The Rabbis of the Talmud imagined God as a judge, examining each of our deeds and choosing whether to inscribe us in the Book of Life for the year ahead. This commitment to lift up communities in need has helped drive my life of public service as a Jewish American, as an elected official and as a lawmaker. Right now, around the time of the Jewish Days of Awe, we have an opportunity to take stock of who we are as a nation, as well. This is the time when my colleagues and I in Congress are debating how the federal government spends precious taxpayer funds. In setting our budget and spending priorities, we are fulfilling the legislative branch’s constitutional responsibility to draft a budget that funds the federal government. This includes important domestic programs, such as aid to survivors of disasters—which is presently on our minds in the wake of Hurricane Harvey and Hurricane Irma. It also accounts for international concerns, such as defense, diplomacy and international development programs that save lives overseas. While foreign assistance is just a small percentage of our budget, it plays a vital role in promoting peace, human rights, public health, and prosperity across the globe. In a sense, we as a country are doing our own cheshbon hanefesh: accounting for how our deepest values are reflected in our federal spending. Former Vice President Joe Biden once said: “Don’t tell me what you value, show me your budget, and I will tell you what you value.” As a Senator, I see my engagement in the process of budget writing as an opportunity to create a spending plan that reflects both our national interest and our sacred commitments to global justice and human rights. Unfortunately, we are witnessing this accounting come up tragically short. As global challenges like climate change, humanitarian crises and unprecedented levels of migration swell, funding for international affairs and global relief is at risk. Earlier this year, the White House proposed a spending plan that would make dramatic cuts to the State Department and USAID. Some of the proposed reductions are the most stark I have ever seen in my many years as an advocate of foreign assistance. Though the final budget remains a legislative decision that must be finalized by Congress by December 8th, some legislators are embracing this budget blueprint as a way to restrict the way the U.S. engages with other nations. By closing our hands to those in dire need around the world, this plan diminishes the United States’ global leadership standing, and it neglects both the values at the core of our national character and our global responsibilities—values that we cherish as globally-minded Jews. That is why I’m calling on the American people and my fellow lawmakers to renew their commitment to the global programs that express our national values. Supports humanitarian aid: The State Department and the U.S. Agency for International Development (USAID) do lifesaving work. They provide humanitarian aid to people around the world, like the 42.5 million people in Sierra Leone, India, Bangladesh and Nepal who have recently experienced deadly flooding; or the 20 million people in East Africa and Yemen who are currently on the brink of starvation. The latter is the worst humanitarian emergency the world has seen in 50 years, reminding us that we must support our aid programs, extending a hand to save lives. Protects our planet: The proposal to prohibit the U.S. from contributing to the Green Climate Fund (GCF) will intensify the assault on our planet. The GCF supports people fighting climate change from the frontlines. It funds projects that protect countries like Tuvalu, the Solomon Islands, the Maldives and the Cook Islands—which are at risk of disappearing into the ocean due to sea level rise. And it promotes sustainable and resilient agricultural practices, like those used by subsistence farmers in Uganda, Sri Lanka and Namibia.4 This summer, the devastation wrought by Hurricanes Harvey and Irma and the torrential rains wreaking havoc from Sierra Leone to Southeast Asia have made one thing abundantly clear: climate change is increasing the intensity of extreme weather events. Initiatives like the GCF are fundamental in mitigating the devastating effects of climate change, lest we see more suffering both at home and abroad. Defending and upholding American values to make the world a safer, more stable and more prosperous place should be an integral part of any federal budget. The proposal to slash critical spending on international development and diplomacy flies in the face of our American and Jewish principles. The Administration’s plan leaves the world’s poorest and most vulnerable people out in the cold at a time when they need us to do more, not less, to create a more just and equitable world. This budget proposal is far from contributing to the “Book of Life” that the world desperately needs, which is why I am working closely with my colleagues from both sides of the aisle to devise a spending plan that meets the challenges of our day. As Congress debates the federal budget, I am committed to working across the political spectrum to support thoughtful foreign assistance that promotes human rights and ensures continued U.S. leadership for global justice. Foreign assistance has long been an area of bipartisan cooperation, as diplomacy and development are central to both our security as a nation and our leadership as a global champion of democracy and human rights. ou can help, too. As we approach the High Holidays, when we are taking stock of our character as individuals and as a nation, it is essential that we hold our government and fellow lawmakers accountable for how our country’s policies uphold our most cherished values. Take a moment this holiday season to learn about some of the life-saving programs that Americans support as global citizens. 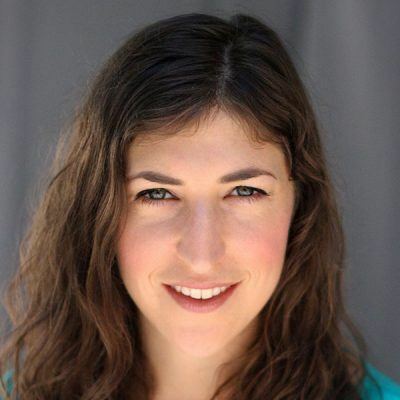 Vital programs like Feed the Future, PEPFAR (the U.S. government’s program for AIDS relief), and the Green Climate Fund improve the lives of millions through the admirable generosity of the American people. Take the time to speak to friends and family about what is at stake. As you hear about the budget deliberations in the news, remember that there is a moral reckoning occurring. The ability of millions of people to lead lives of dignity—to be “written in the Book of Life”—hangs in the balance. This Rosh Hashanah, please join me, American Jewish World Service, and other people of good will as we fight to make the world a better place, end poverty and oppression, and live lives that we will be proud to account for in the year to come. U.S. 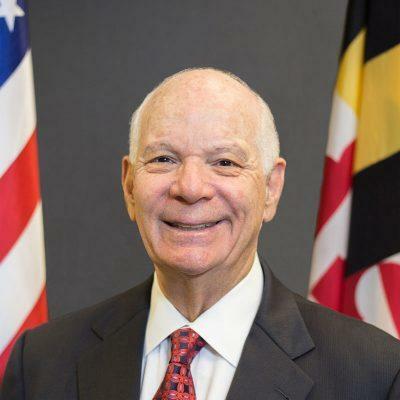 Senator Ben Cardin, the senior Senator for Maryland, is Ranking Member of the Senate Foreign Relations Committee. He has worked across party lines to further U.S. national security and to ensure that good governance, transparency and respect for human rights are integrated into America’s foreign policy. He is a member of the Senate Environment & Public Works, Small Business, and Finance Committees. A former Member of the U.S. House of Representatives, he is a Commissioner and former Chairman of the U.S. Helsinki Commission. He also serves as Special Representative on Anti-Semitism, Racism and Intolerance for the OSCE Parliamentary Assembly.